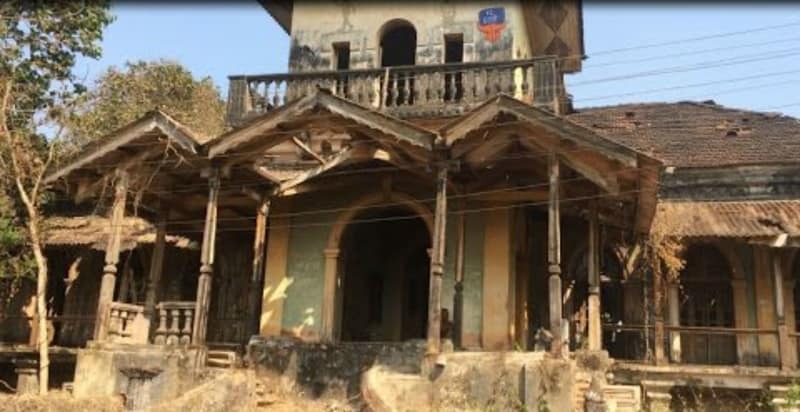 Haunted destinations in Goa include highways, churches and even houses and bridges within big towns as well as the outskirts. Though there are always non-believers, the stories associated with these places make them interesting at the least. So, it is time to update our knowledge about Goa, otherwise known as a traveler’s paradise. The common mode of transportation here are regular four-wheeler taxis and motorcycle taxis (commonly known as a pilot), and these make all the places in the following list easily accessible. 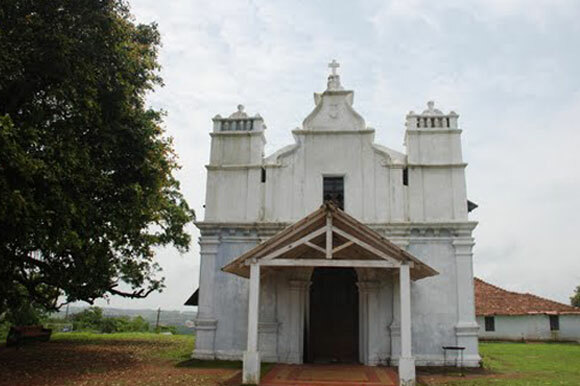 Alternatively known as Our Lady of Remedios Chapel, this church is located in the Cansaulim village in South Goa, deriving its name from the three Portuguese kings who used to live here. As they had a constant political dispute amongst themselves regarding who will gain the sovereignty upon this place, one day, King Holger Alvunger invited the other two over to his place and killed them by poisoning. Scared and apprehensive of the consequence of his crime, he committed suicide himself. Now, locals believe that the unrequited spirits of these three kings haunt the chapel, as that is where they were buried. The church is only open on Sundays, and nobody is allowed in the premised after 6:00 pm. 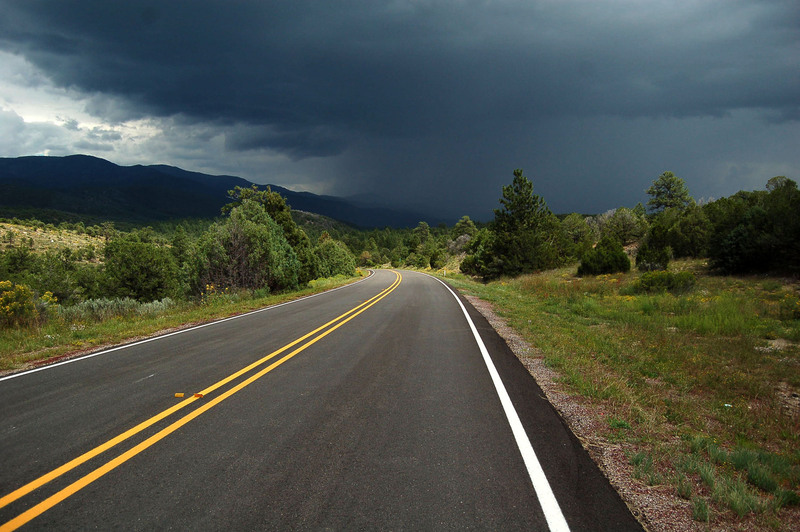 The national highway is said to be the home of flesh-loving witches, who can haunt you if you carry meat (cooked or uncooked) when traveling by this road. The most circulated incident tells that once a couple (unaware of the witch story) was driving through, and they had some non-vegetarin food in their car. Suddenly, the headlight started flickering, so they stopped the car and got off. When they were trying to get back in, all the doors got locked from the inside. A black smoke started to encircle them. After a certain time the smoke cleared and the car got unlocked, and when they entered, they found all their food was gone. At the same time, the wife was left injured with scars on her face. Local people implore not to carry any meat or other non-vegetarian food while going via NH66. Located around 7km away from Panaji, the beach marks the life of a woman named Dona Paula de Menezes. There are several stories regarding her, according to one, she was the daughter of the Portuguese Viceroy and fell in love with a Goan fisherman. Despite their mutual l love, their relationship was never accepted by the viceroy due to their difference in caste and financial status. Heartbroken and grief-stricken, Dona then committed suicide by throwing herself into the Arabian Sea from the cliff where her statue is placed now. Her father then named the village after her. Another story claims that Dona was the lady-in-waiting to the then Governor General’s wife, and had an illicit affair with the governor. When the governor’s wife caught them off guard, she bound Dona and threw her from the cliff. The body, when discovered was only wearing a pearl necklace, which was supposedly a gift from the General. There is yet another version of the legend where she had a secret admirer named Gasper Dias, a nobleman who commissioned a fort in the Dona Pula Village. The spirit of Dona is still believed to rise from the sea in every moonlight, searching for her fisherman lover (or Dias in some versions). 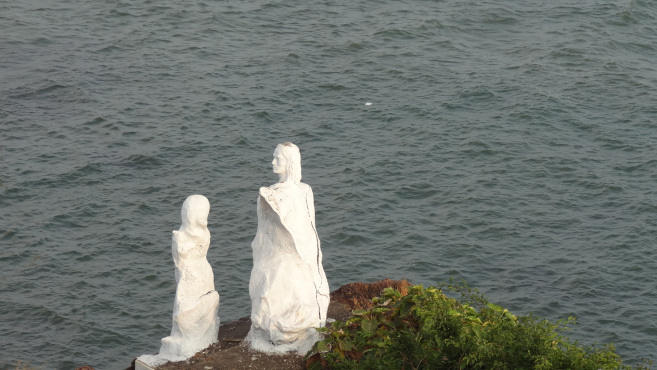 Presently the two statues standing on the cliff are of Dona Paula and the native fisherman. Hire a cab and reach within 15-20 minutes from Panaji via Dr Jack de Sequeira Road. The village of Saligao is ruled by an angry spirit of a woman named Christalina. There is not enough information regarding her origin, but local people believe that a particular banyan tree is her home. Once a bishop, who was passing by the village at night, saw her apparition and fainted. He was found near the tree next day and was taken to hospital. When he gained consciousness, he was unable to utter anything for the next four days and even after he did speak, he only spoke in the local Konkani language, that too in a female voice, screaming the name of Christalina. According to another story, a Portuguese man, living in the village went missing one day, and when he was found his body was scarred. He claimed that it was Christalina who did this. Due to such stories, people go to the village only during the day for visiting the supposedly possessed banyan tree. 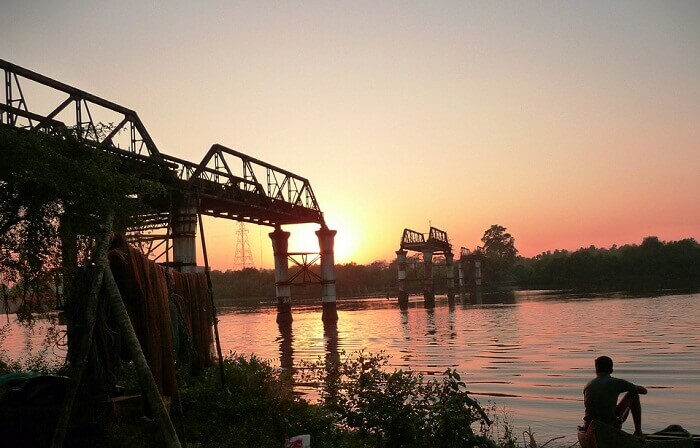 From Mapusa, a famous visiting spot in North Goa, Saligao is only 6 km away. The nearest rail station is the Vasco da Gama Railway Station, located 19 km away. Though it is considered safe to visit during the day, staying post sunset could be unsafe, due to local thieves at least, if not for Christalina. 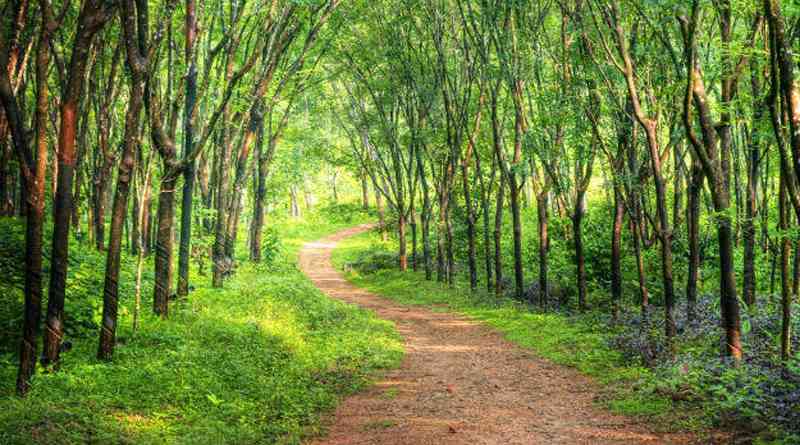 The road, coming on the way to Ponda, between Dhavali and Borim, is said to be home to the spirit of a woman who suddenly appears in the middle of the road at night to confuse driver of any car passing by. Many have experienced the apparition and when they turned back or stopped the car, they couldn’t see anyone. Now, the Goan people believe that such ghostly stories are the reason the road is so accident-prone. 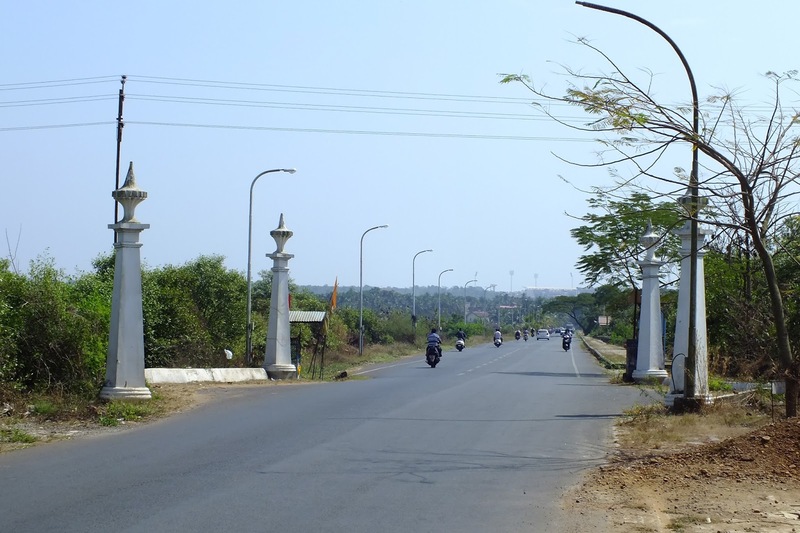 The four white pillars are on the Old Santa Cruz – Panjim road of Khazan lands. 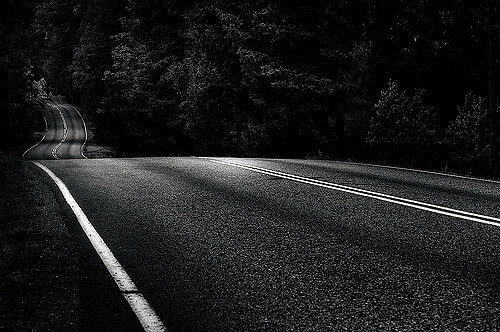 The road is believed to be a hotspot for ghostly apparitions in the middle of the night, confusing travelers. People have shared experiencing an eerie feeling throughout that spot. Many bikers have had a breakdown just after reaching there. A woman clad in a white saree is often seen, along with loud cries. Jakni Bandh, a bridge connecting Navelim and Dramapur, has its fair share of haunted touch. 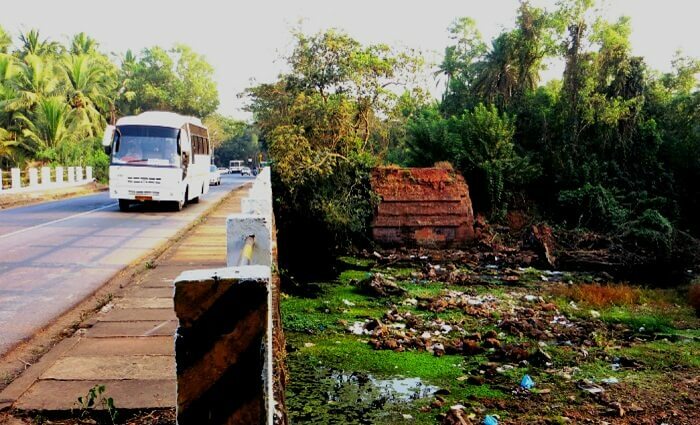 Once a school bus fell over a temporary bridge on this road, killing all the students on board, and since then many people have heard the cries of children while passing by the spot in the evening. 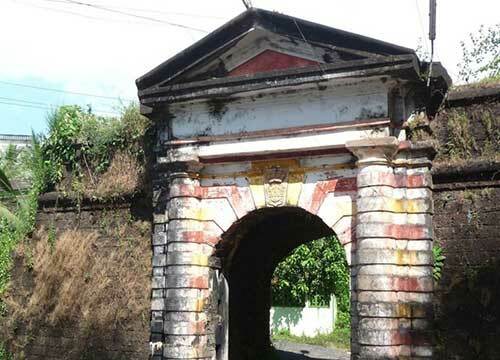 The village of Rachol or Raiturais, located on the Zuari River’s bank, has a haunted arch at the entrance of its 400-year old seminary. 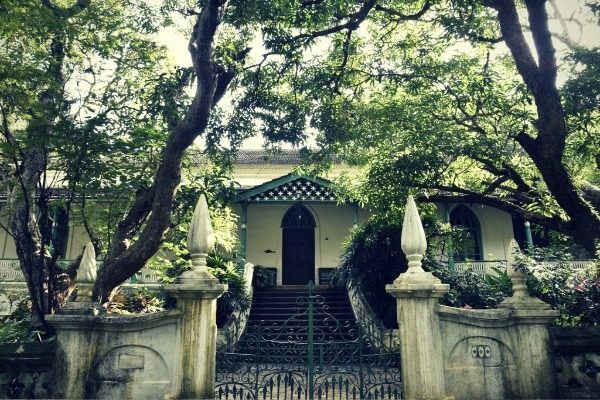 People believe it to be the home of the spirit of a Portuguese soldier who is still dutiful, and often shows up in this area, fully decked up in his uniform. People often claim they have seen him move under the arch and sometimes, even denying entrance to people he doesn’t approve of, through hand gestures. The place remains accessible from 7:00 am to 6:30 pm (Monday to Friday) and 8:00am-6:30 pm (Sunday). The incomplete building near the Agonda Beach now lies abandoned. It was intended to be a hotel, but the project could never be completed due to some legal disputes. A few people have reported experiencing some ghostly events around this place, but there is no other evidence that the hotel is haunted. Loacted in Raia village, the road behind the Church of Our Lady of Snows is believed to be haunted, even in broad daylight. Local people believe that if anyone passes through that road between 2o’clock and 3o’clock in the afternoon, the person will be possessed by the vengeful spirits living in the area. 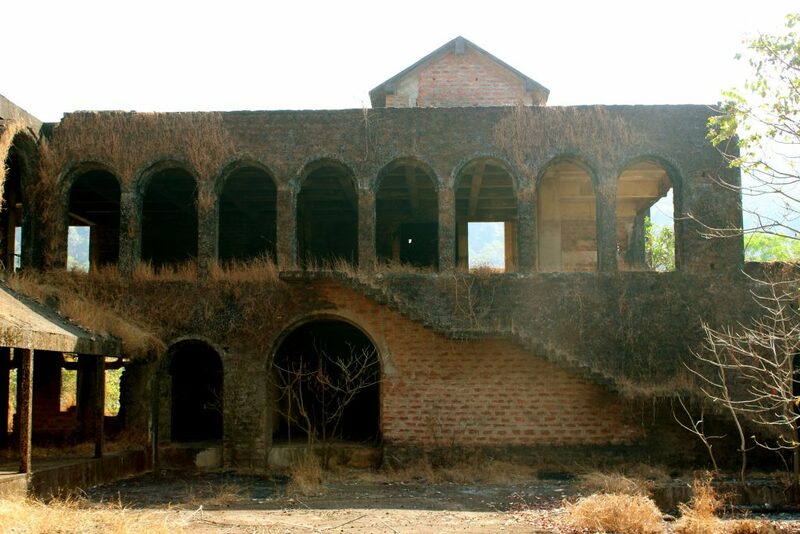 Situated in Santimol, the D’Mello House became a point of dispute between two brothers, regarding its inheritance. The local belief is that the house became haunted after one of these brothers killed the other following a heated conversation. At present, people claim having heard spooky screaming and weird noises like the window pane cracking and glass objects moving on their own. The bridge became well-known as a haunted spot after the story of three friends encountering the ghost of a woman went viral on the internet. One night three men were driving through the area and they saw a woman rushing madly towards the edge of the bridge and ultimately jumping into the river. They got out of the car only to find that there was no evidence of anybody being there or having jumped into the water. The, one of the men, who was sitting in the backseat, claimed that after they had returned to the car, he found that same lady sitting next to his seat, staring at him. He even got a fever for the next few days. 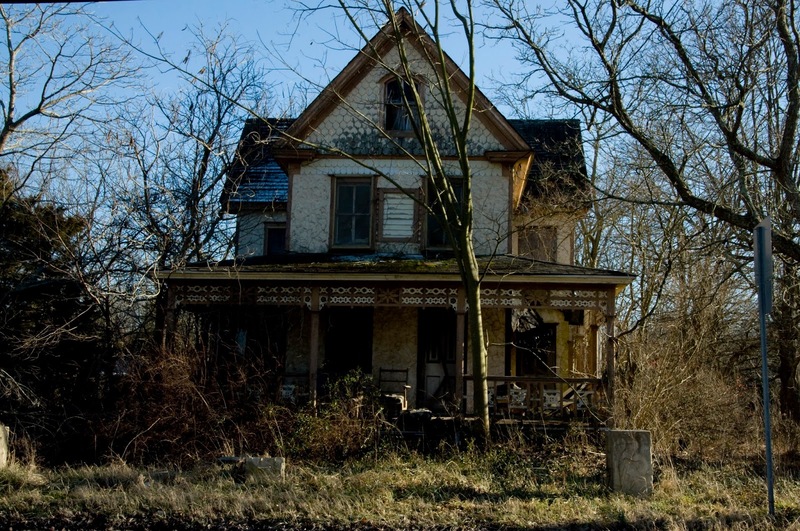 One can never be sure about the truth of such supernatural stories, and in this case too, there are plenty of people who claim these to be no more than urban legends. But, you do have some more places to visit now, besides the popular spots, on your next trip to Goa.